Tony Blair has taken responsibility for the Iraq War but refused to accept that Britain’s toppling of Saddam Hussein could have anything to do with spreading instability in the region. In a nearly two hour-long news conference, the former prime minister said he still believes he acted in “good faith” and that the decision was the “hardest, most momentous, most agonizing” one he ever took. The Chilcot report, however, suggests the legal base for the move was “far from satisfactory” and attributes the PM’s decisions to stubbornness. He went as far as to regret that current MPs did not support intervention in Syria in 2013, saying the decision “really dealt a blow” to Britain’s relationship with the US. 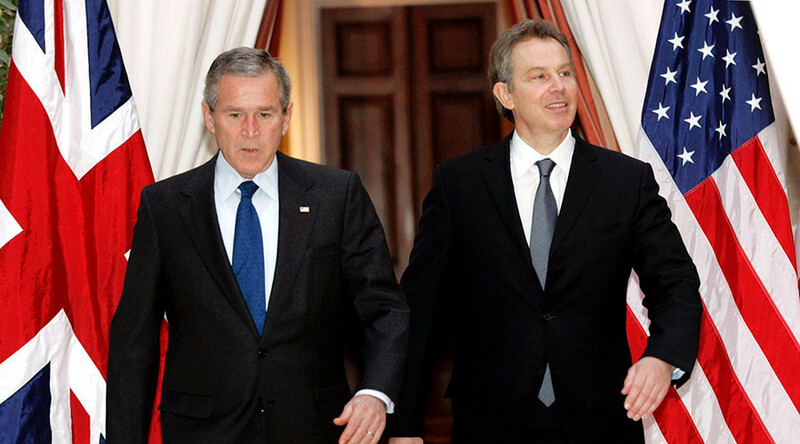 And while Blair insists Chilcot proves there was “no secret commitment to war” made during his meeting with George W. Bush in April 2002 in Crawford Texas, the report does show evidence of his continued support for the US president’s own resolutions. The UN weapons inspectors were at that point still working in Iraq, having failed to find weapons of mass destruction. Families of soldiers killed in the Iraq War are planning to pursue legal action against the former prime minister. US State Department spokesman John Kirby declined to comment when asked about Chilcot report by the Sputnik news agency. “The Chilcot Committee was an independent body appointed by the Government of the UK. Questions about the inquiry or those who participated should be directed to the Committee,” Kirby said.